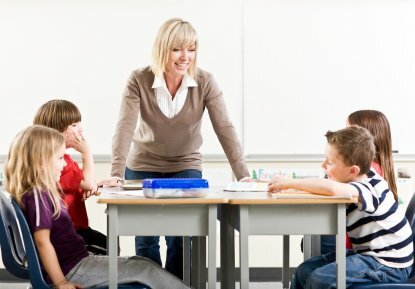 Teaching your child how to effectively communicate with teachers is an essential in today’s educational environment. While the school has a set curriculum that it follows to educate your child, you also have the responsibility of teaching your children certain things. Then, there are those lessons that should be mutual between your home as well as the school. An example of one of these lessons is that of communicating effectively. In order to ensure the success of your child, it is important that you know the basics when it comes to teaching your child how to effectively communicate with teachers. First and foremost, your child needs to understand that the teacher that they have is an adult and should be respected as such. Remind them that it is important to be polite and courteous at all times, even if they are frustrated or even angry at themselves, someone else, or the teacher directly. By doing this, you are teaching your child to carefully guard their words and truly think about what they want to say before they say it. Children who fail to carefully consider their words may put up a wall between them and their teachers, which can actually hinder successful communication. When a child goes to school, always talk positive about teachers, and put a light on them that shows them in a positive way. Today, many parents actually create a fear in their children by talking about their own teachers that were mean, or by telling their child that if they do something that the teacher does not like that the teacher will actually send them to the principal’s office. All too often, as innocent as these statements may be, the child may actually begin to fear the teachers that work in the school that they attend. Naturally, this can be detrimental to the communication process. You should let your child that the teacher and/or teachers that they have are there to help them learn and grow in the skills and abilities that they have. Plus, make sure they know that their teacher cares about them and that as long as they follow the proper procedures for talking to their teacher, like raising their hand and/or setting up a meeting with their teacher, that the person will be completely willing to talk to them about anything. Teachers are there to answer questions and clarify the materials that are being taught, and are there to clear up complications that may be occurring in the school. By telling your child this, it is likely that they will see them as a valuable tool and communicate well with them. If you find that your child is still having problems communicating with their teacher, it may be best to step into the picture and discuss the problem openly with the teacher. These days, you can do this in several ways. First, you may send an email, or make a phone call. In many cases, you can set up a parent teacher conference. The first meeting that you have, you should go alone and discuss the issue with the teacher firsthand. Bringing the child to the first meeting may prove to be intimidating. However, once the first meeting is done, you should set up a meeting where your child may attend so that they and the teacher can get to know one another. It is important to know the steps for teaching your child to effectively communicate with their teachers. There are many creative ways that this can be accomplished. Here, you have seen several steps that can be taken to accomplish this task. If you follow the steps listed here, your child and their teachers should be communicating well in no time! Angie Shiflett is a content specialist that focuses on writing on an assortment of topics. Currently, her passion is homeschooling and education. She has been homeschooling her children through The Connections Academy for two years now. Both her and her husband are able to remain at home with their children in order to educate them. They place a high emphasis on family, and dedication to the importance of a proper education.